What If Madden Play Calling Was Really This Awesome? Madden on PS4 and Xbox One was hardly next-gen. Much like every year, Madden 25 was a simply a roster update with a few quirky features added in. But what if EA Sports actually decided to think outside of the box and tried to innovate? 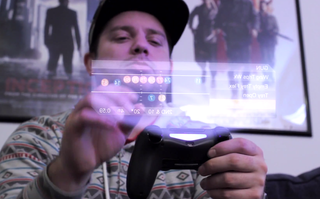 Oh, and if the PS4 actually had some futuristic holographic technology. But hey, you can't knock a man for dreaming.